Rahul Chatterjee is a Manager in MSC’s Research, Innovative Program & Evaluation (RIPE) Domain. 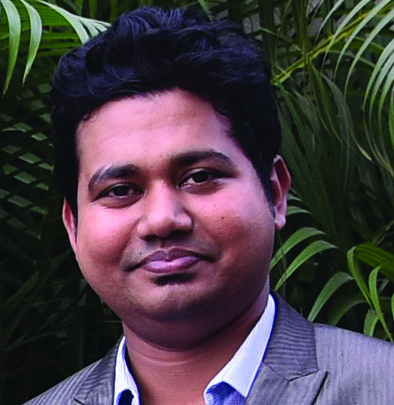 Rahul Chatterjee is a Manager in MSC’s Research, Innovative Program & Evaluation (RIPE) Domain. He is a development professional and management graduate with over five years of experience gained through projects with research agencies, NGOs, CSR departments under projects funded by donor agencies like BMGF, Rockefeller foundation, Government agencies. His areas of expertise include project management, Social Research (Maternal & Child Health, Behaviour Change, Service Delivery, Gender & Equity etc. ), data driven program management, Monitoring & Evaluation of development projects and donor/client handling with hands on experience of managing teams. He specialises in quantitative research and analytics. This consumer behavior research aims to investigate why this is so, examining the gender centrality in digital financial services (DFS) in Bangladesh. The study focused only on mobile financial services as the most prevalent form of DFS in Bangladesh.